Preheat oven to 240°C (475°F). Place the rosemary sprigs in the base of a baking dish lined with non-stick baking paper. Top with the lamb and sprinkle well with salt and pepper. Combine the onion, olives, extra rosemary, anchovy and oil. Score the lamb and spread with the onion mixture. 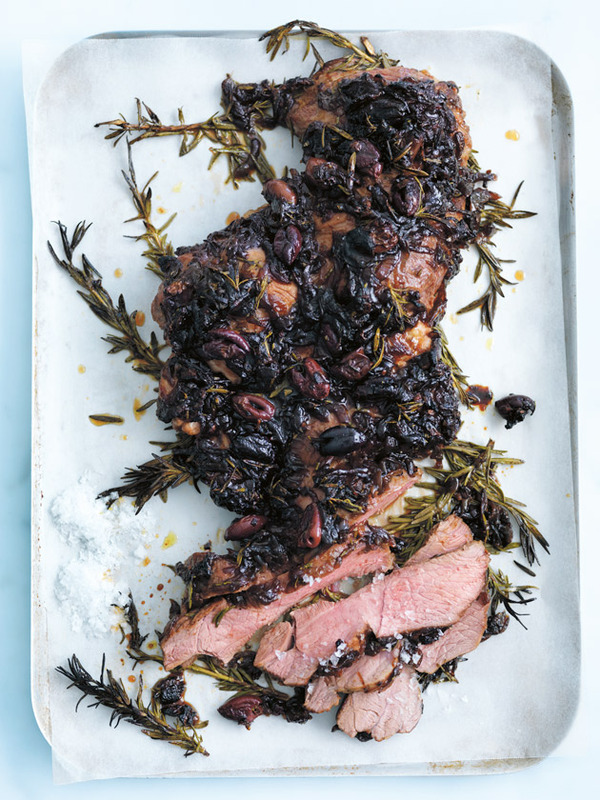 Roast for 10 minutes, reduce the temperature to 180°C (350°F) and cook for a further 10–15 minutes or until the lamb is cooked to your liking. Slice the lamb thickly to serve. Serves 4. + Ask your butcher to bone the lamb leg for you.